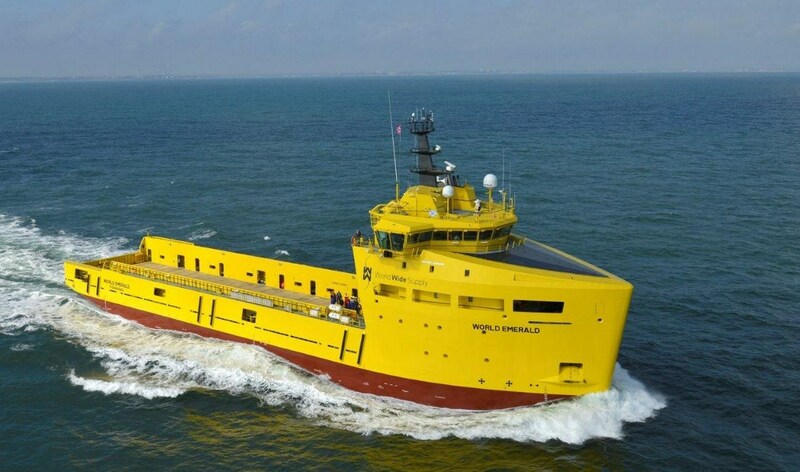 Home › Platform Supply Vessel › Platform Supply Vessel 3300 CD › Platform Supply Vessel 3300 "World Emerald"
Damen Shipyards Group recently delivered the fourth Platform Supply Vessel in a series of six to World Wide Supply of Norway. Delivery of the new design involved extensive CAD/CAM modelling by Damen Shipyards Gorinchem in the Netherlands and model testing at Maritime Research Institute Netherlands (MARIN). The 3300 is part of an entire new range of Damen PSVs.